Andrew? Babe? You okay dude? Harry and Meghan are almost certainly going to skip the international royal baby photo call three-ring circus. They aren’t even going to announce the kid’s arrival until they’ve “had an opportunity to celebrate privately as a new family.” Yet another recent decision where really the only response is: Who can blame them? 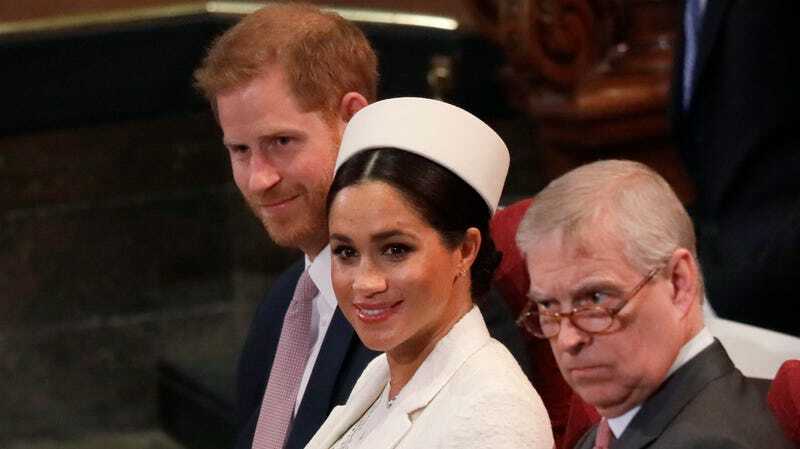 The paper interprets this as confirmation that they won’t be doing photos in the style of Will and Kate’s appearances on the steps of the Lindo Wing, which makes sense. Will and Kate do the photo call because they are presenting the nation with the direct heirs to the throne—it’s essentially warm and fuzzy propaganda. Or, if you prefer, marketing. (The crown is the family business, after all.) Barring some sort of absolute catastrophe, though, Harry and Meghan’s kid will never get anywhere close to the throne, meaning it’s really not necessary, and if anything might be a little extra. Also, right after you’ve given birth you generally feel like you’ve been hit by a runaway shopping cart full of bricks and you just want to sleep and maybe eat some soft cheeses, not face a bunch of reporters who likely have it out for you, anyway.